Traditional philosophical accounts of the phenomenon of change suppose that change must involve an object that persists through the change. Trevor Hussey argues that this view of change is highly questionable in its application to changes such as those in ideas or beliefs, those in values and those in theory. In these instances, there seems to be no underlying object of change. 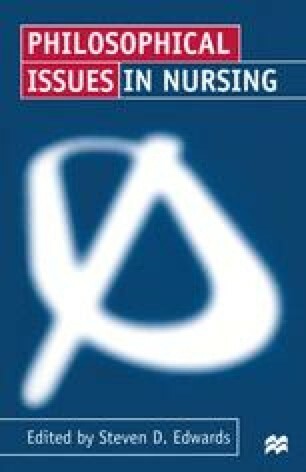 Trevor Hussey suggests that the kinds of change relevant to nursing are evolutionary changes, of which he identifies two kinds: Lamarckian and Darwinian. He claims that the former is the more relevant to the analysis of changes in theories, patterns of beliefs and so on.